Sleek, thin hulls laden with goods, the small but mighty dhow (pronounced dow) sailed the Indian Ocean between East Africa and the Arabian Peninsula entirely dependent on two key factors: trade winds and a genius sail. So what exactly are dhows … or trade winds for that matter? Dhows are traditional Indian Ocean ships. And trade winds are winds that blow almost constantly in one direction –– winds that were cleverly used by sailors to trade goods over vast distances. Here’s how it worked: In January, the north-east monsoon winds moved ships south, filled with things like pearls, fish, and dates from Arabia. And in July, after almost six months, the cycle went in the opposite direction, with south-west winds blowing the ships north –– full of ivory, timber, and gold –– back to Arabia. The success of the trading wasn’t just in the winds, but also in the exceptional ships known as dhows. The Swahili word dhow refers to wooden ships made without nails that could withstand the force of monsoon winds. Instead of nails, the boards of the hull were stitched together with rope or cording. Dhows ranged in size from small fishermen’s boats to ships over 100 feet long. These double-masted ships had triangular adjustable sails, known as lateens, that could be turned to catch the wind in any direction. It’s precisely this clever sail that made the dhow such a champion. Today, these Indian Ocean ships, once so vital to trade, are making a comeback. 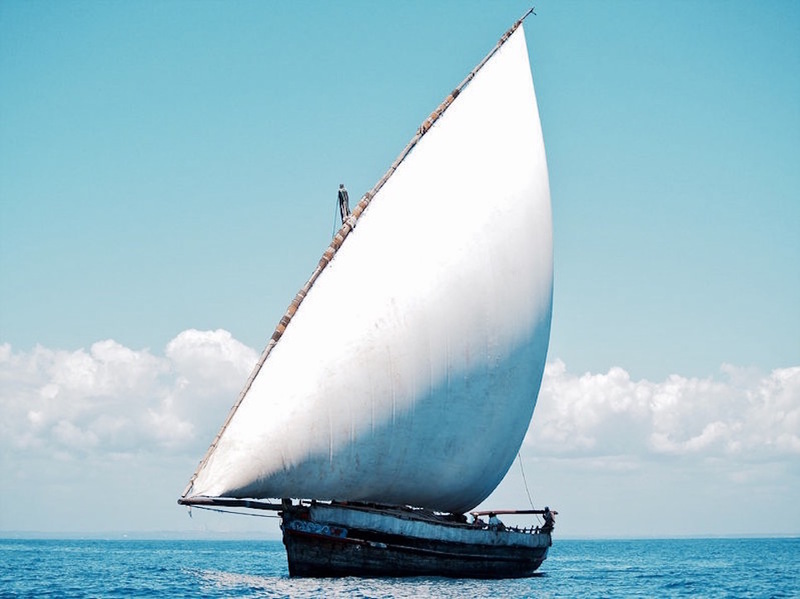 After nearly disappearing, dhows have returned, still handmade and built locally; but instead of setting sail packed with goods, these iconic boats are now used for racing. A modern take on a true classic.